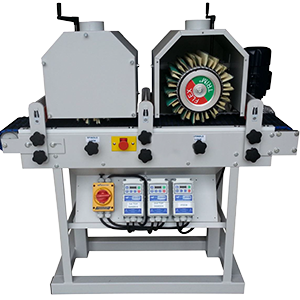 The 230 Series Profile Sander is a two spindle machine designed for use with flexible brush type sanding wheels. The spindles adjust individually, with vertical, horizontal, tilt and rotation. 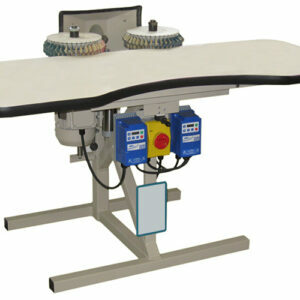 It can be placed at the out-feed end of a moulder, over a table, or used to sand free-hand. 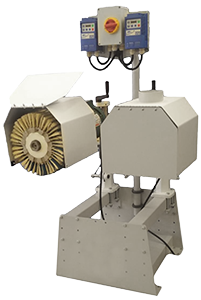 The spindle motors are controlled by inverters giving individual variable speed and sanding direction. 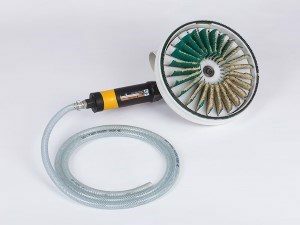 The spindles on the Model 230 adjust individually to sand the top, bottom, front, or back of parts. In addition to the built in adjustment of the stands, the stands may slide forward/back on the base in addition to mounting the base higher or lower. Locking casters allow it to be rolled into position and locked in place. 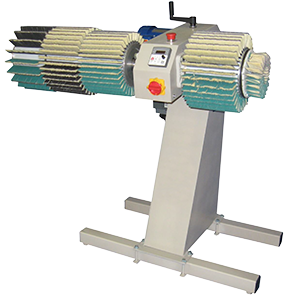 Inverters control the spindles’ speed and rotational direction individually.